This is a damn cool new band from Austin Texas! This four piece really lay down some cool psychedelic acid rock, with dual psychedelic guitars and long spaced out instrumental jams. The CD was totally improvised in the studio with no overdubs, or as the band state, “frivolous foolery”. The opening of the CD is some loud in your face distorted guitar before the band takes off into a long track featuring a lot of cool guitar solos and nice spacey second guitar as well. Heavy acid rock stuff with some outerspace delay guitar at times. Hard Drive Explosion is next and is quite short (this is what they could salvage due to a sample rate error!) after the 17 minute opening jam track. It is a more laid back and spacey sound to start but builds up nicely with duelling solo guitars. Toad Patrol starts off with a hard rocking stoner rock riff as this track takes you “out there” for 30 minutes of instrumental soloing and riff rock and spaced out sounds. The CD ends with 22½ minute Brassica track. It is a bit more moody to start but more of the same, long nicely played solo guitar excursions to another universe. Fans of Samsura Blues Experiment, Outskirts of Infinity will dig this band. 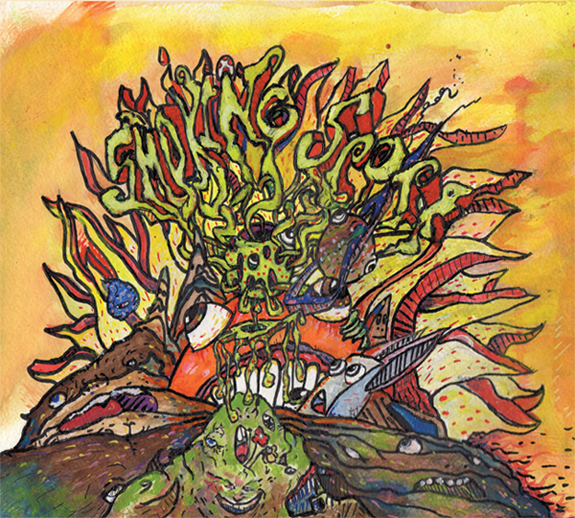 A pretty cool debut if you like long jammed out guitar solo acid stoner rock, like I do!